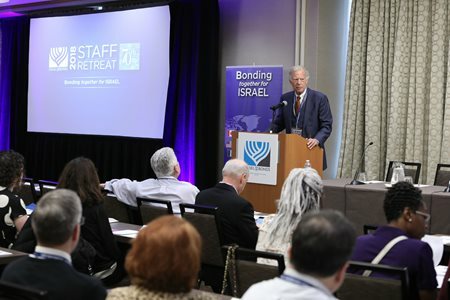 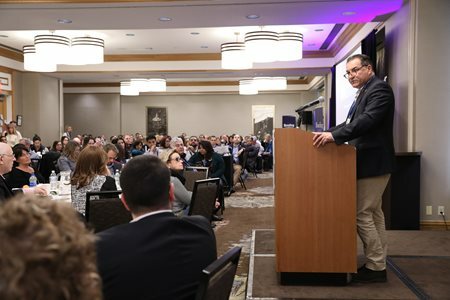 With a theme of ‘Bonding Together for Israel,’ Israel Bonds staff joined as one for three days of learning, connection and friendship. 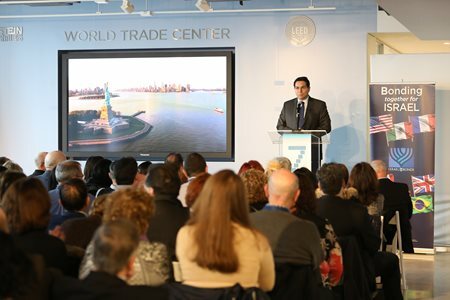 The shared experience took place March 12-14 in New York. 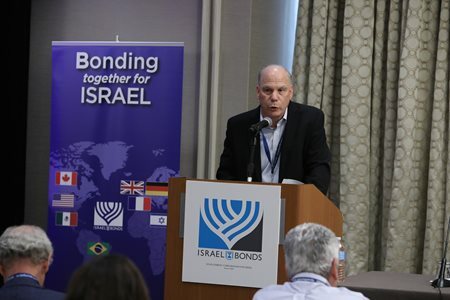 Vice President for Sales Stuart Garawitz: "We are very, very excited to have you"
President & CEO Israel Maimon highights the "opportunity to come together and bond as one"
Board Chairman Richard Hirsch praises the staff retreat as "a meeting of family"
Throughout the retreat, Bonds staff shared the excitement of being together, and welcomed the opportunity to exchange ideas, information and knowledge with colleagues. 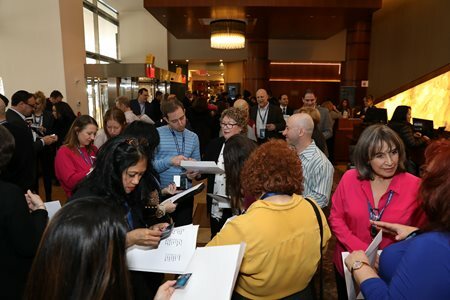 The staff participated in a series of insightful workshops and presentations, with topics including maximizing sales, developing successful events and creating effective marketing strategies. 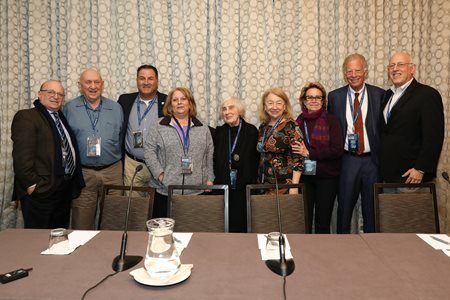 Additionally, prominent Israel Bonds lay leaders, including Chairman of the Board Richard Hirsch and fellow board members Ken Goldberg, Andrew Hutter, Shira Lewis and Irwin Raij, together with Women’s Division Chair Laura Orzy, participated in a valuable panel discussion on leadership recruitment. 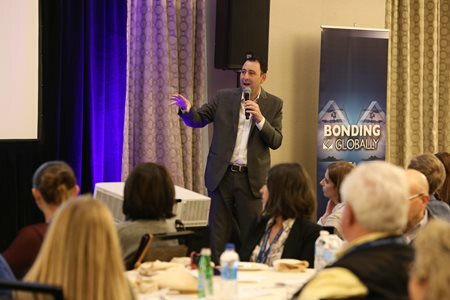 The retreat also featured a heavy team-building component with Ariel Halevy, co-founder of Vayomar, leading the group through a series of exercises to encourage bonding and develop diverse professional skills.